Seven weeks ago, Hurricane Maria roared through the center of Puerto Rico. Winds battered the palm leaves and rain poured over the houses in the town of Barrancas. The storm brought terror to German Santini, who was inside his home. Santini emerged the next day to see a town that looked like it had been hit by airstrikes. For Santini, the worst part was not being able to communicate with his wife, who was in Holyoke, in western Massachusetts, in the third trimester of her pregnancy. 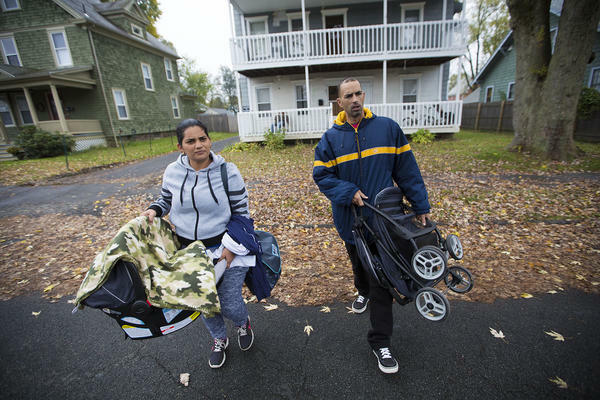 On October 16, a few days after Santini arrived on a packed flight from San Juan, his son Yedriel was born in Holyoke. The parents were visibly stressed. They had nowhere to go after leaving the hospital. Before the hurricane, the plan had been for the whole family to move to Puerto Rico. But they decided they couldn’t bring a newborn to a place with no electricity and no running water. Santini’s wife, Solimari Alicea, said it was a choice between two bad options. 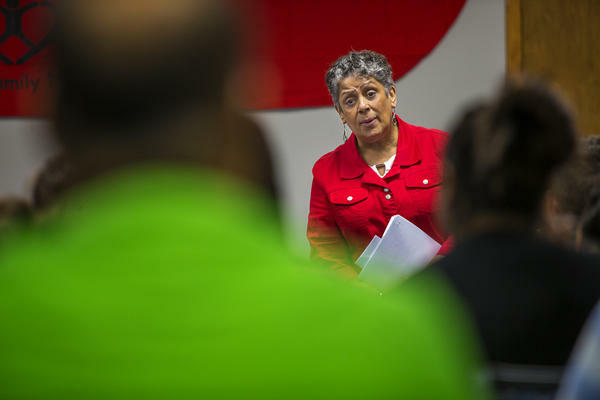 Betty Medina Lichtenstein heads Enlace de Familias, a nonprofit in Holyoke. The state has designated Enlace as the city’s welcome center for new arrivals. 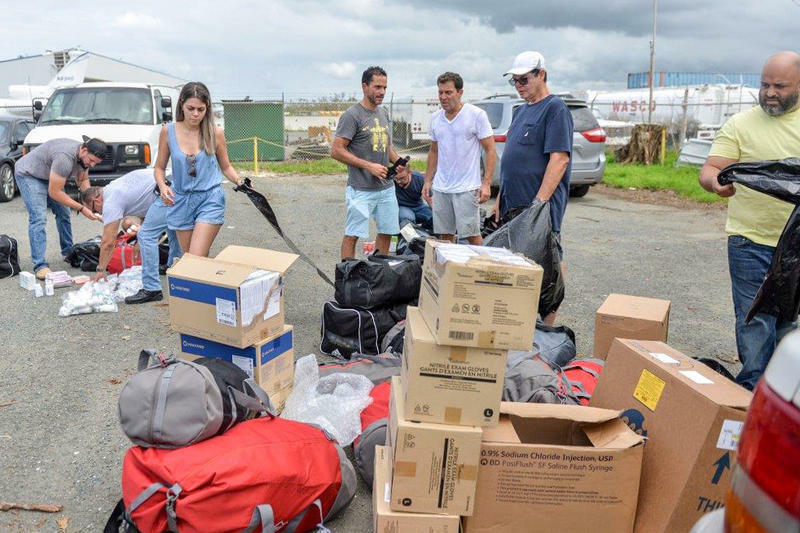 Medina says each week they’re receiving more than 60 families from Puerto Rico. Medina bounces from client to client, trying to match people’s needs with the respective services. The task is massive, and Medina is short staffed. When Maria hit, Puerto Rico was already in the eye of a storm: a decade-long recession that has left the island bankrupt with tens of billions in debt. The hurricane turned a steady flow of emigration into a raging flood. Researchers from the City University of New York estimate more than 200,000 people could flee Puerto Rico each year — as many as 14,000 to Massachusetts. A month and a half after the hurricane, state officials say more than 1,000 have already sought help. Medina said she sees a generational divide among those that plan to stay and those who will return. 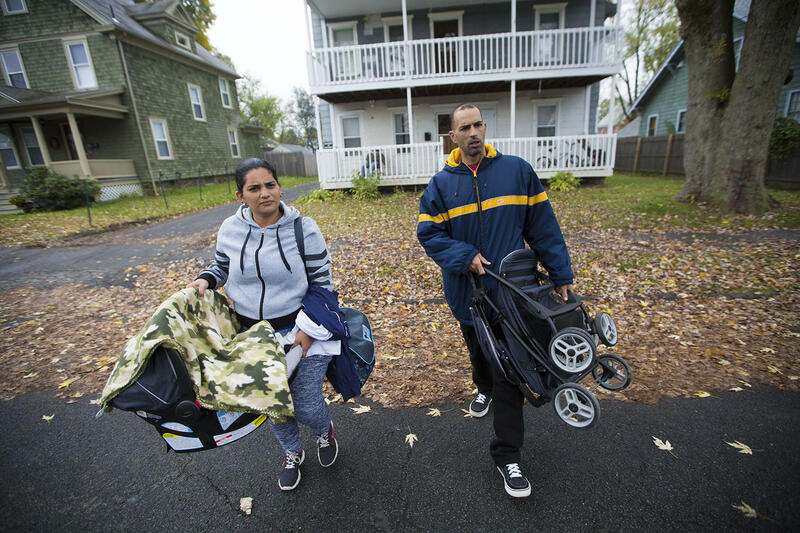 Santini tried out the faucet and stove in his family’s temporary home in Greenfield, 30 miles north of Holyoke. The triple-decker apartment was found by Enlace and belongs to the state housing department. 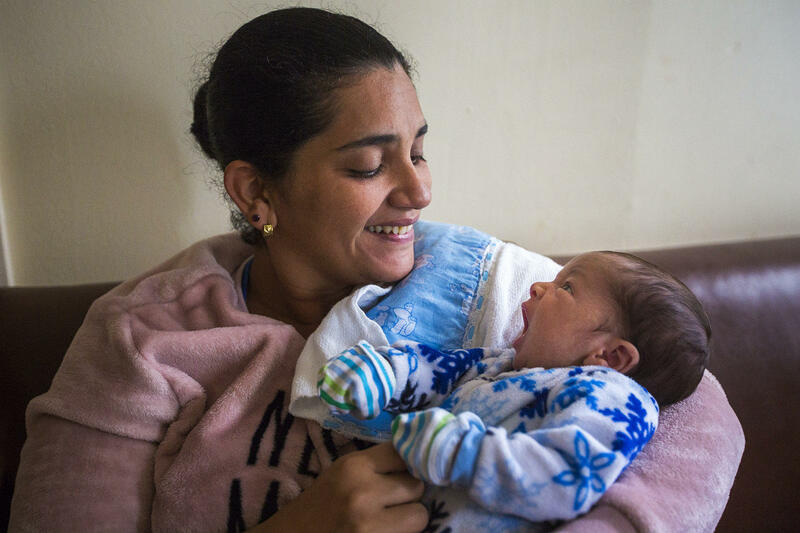 Santini is grateful, but he already misses life in Puerto Rico. But Santini says his priority now is to provide stability for his family — and it’s here in Massachusetts that he can make that happen. Now he needs to get a job, learn to speak English, and find a permanent place for his family to call home.